I learned about color theory back when I was in art school. 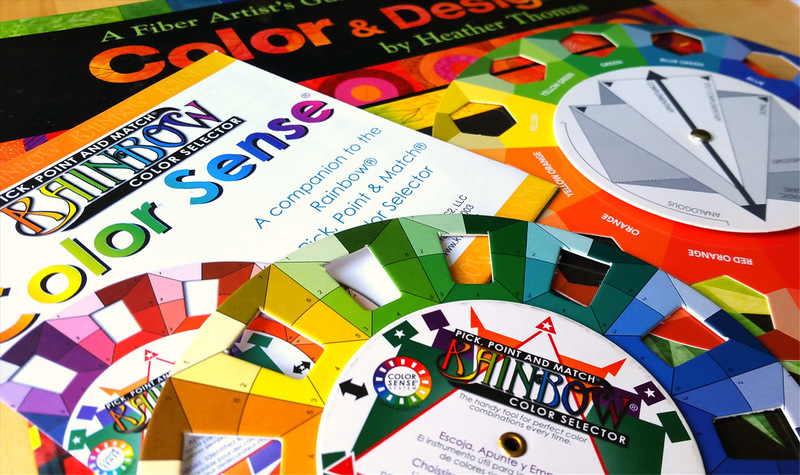 We all completed lots of color theory assignments in paint as part of our "art 101" classes. It's very different to have the freedom to mix up almost any color from paints—and then to be restricted to working only with the colored fabrics you can find (or hand-dye). 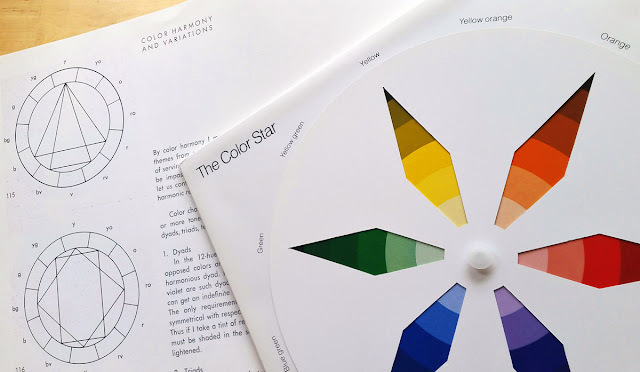 This sparked my interest to retrace my color theory steps to find out how using color applies to your work when you don't have the ability to create your own colors. Can you still apply basics of color theory to using found color? Going back to my beginnings, I re-read Johannes Itten’s The Art of Color because it was our basic textbook for using color in art school. This book has been like the Color Theory “Bible” to me. It includes all the basic principles I learned about mixing colors when studying painting and fabric dying. Itten does refer to some other Color Theorists in his book and when I began reading some of these other authors, I discovered that many of the ideas and theories in Itten’s book were not original, but go way, way back in time. So, with all this in mind, I’ve decided to start a new reading project! I aim to read (and re-read) all of the most influential books published on Color Theory over the past 300+ years. Not only to see where we’ve been, but to better understand how we’ve arrived where we are with Color Theory, and get a glimpse of what’s next. 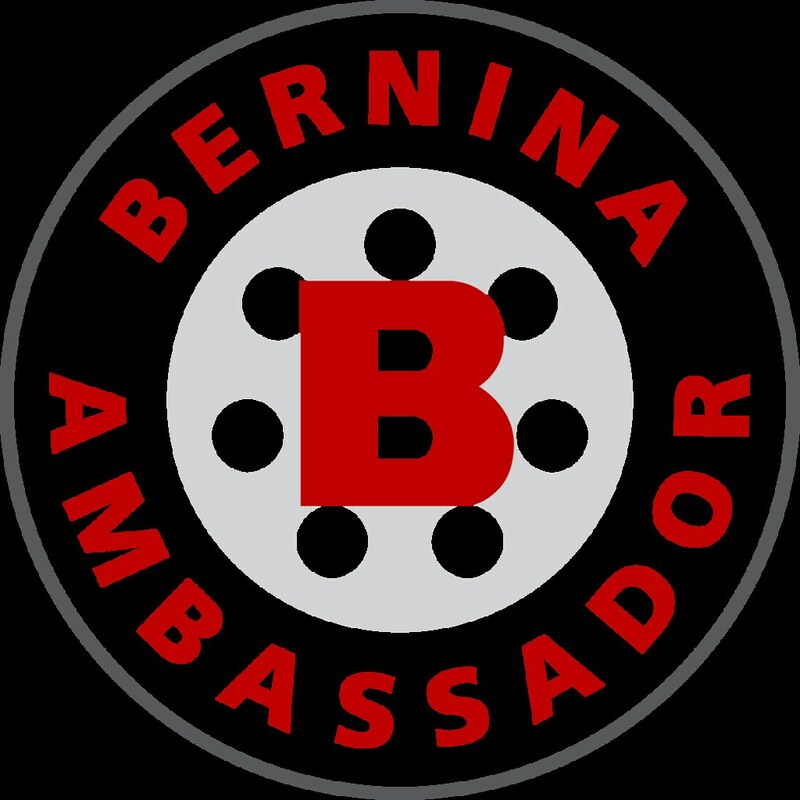 This is your formal invitation to join me if you’d like! While I can’t make a hard-and-fast reading schedule (because life just happens), I do plan on posting a short schedule of which book I am reading, and which one or two are next on the list. I’m also planning a short write-up of each book here at my blog, to highlight the most important points in each book and most importantly to follow the trail of breadcrumbs from our current view of Color Theory back to the beginnings. 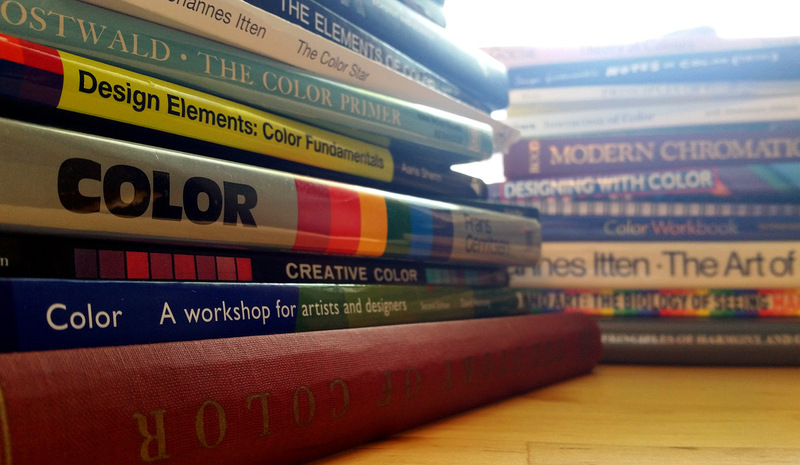 The 15 or so books that will be the focus of this Color Theory reading list are some of the most important, having greatly influenced artists and even entire artistic movements, and have all had a part in weaving together our modern view on color. Some of these books are completely free online, some are still readily available for purchase, some are still available to read at your library, and a few are very unfortunately out of print. Without further hesitation, let's get reading! Books that have been read are hyperlinked, click over to learn more!